Real Madrid defender Raphael Varane has opened up on the continuous speculation linking him to Manchester United and revealed he had the chance to join the club this summer. The 23-year-old has started the first three games of Real Madrid’s 2016/2017 campaign, with the central defender sharing the same nationality as manager Zinedine Zidane, he could look to cement a place in Real Madrid’s starting eleven this season under Zizou. 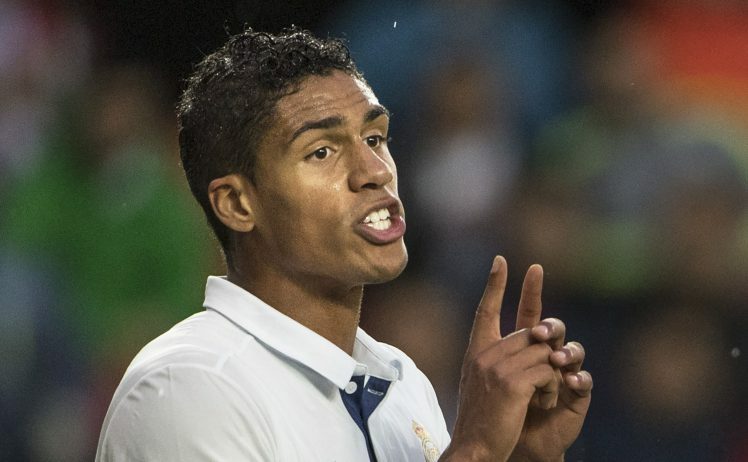 José Mourinho gave Raphael Varane his Real Madrid debut at the age of 18, back in 2011, but Varane insisted he was happy at Madrid for the time being. “Of course it’s flattering, Manchester United are a very big club. But from the moment when Madrid and I are in sync on my project, there’s no questions to ask yourself,” he told Canal+. “I have always said I feel good in Madrid. It’s not easy to say ‘no’ to Jose Mourinho, but you have to weigh up the pros and the cons. We’re men, we have decisions to make and that’s how it is,” he said. The Frenchman’s fondness of José Mourinho and Mourinho’s fondness of Varane suggest there’s nothing stopping Manchester United to try again in January or perhaps next summer, and if the Lille-born man hasn’t made an impression on Zinedine Zidane by then, it could make the deal increasingly possible.